Oyster Cottage is a Georgian terraced cottage that retains many of its original features. 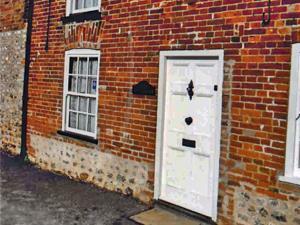 It is situated in a conservation area and provides well-equipped comfortable accommodation for four people. Upstairs there are two bedrooms (one double and one twin) as well as a bathroom. Downstairs is the sitting room and the kitchen/dining room, which overlooks the pretty paved courtyard walled garden. Shower, fridge, electric cooker Children welcome from any age. A149 main coastal road from King''s Lynn via Hunstanton. In Thornham on left (facing east direction) approximately 50yds past Old Coach House. House name is by white front door. From King''s Lynn - 15 miles Rail link to Hunstanton. Coastal bus service to Thornham or taxi approximately 5miles.